“Yintoni le?” means “What is this?”. In this poem, the poet looks at the fruit of academic or school education versus education about life which one gets from their parents first and through life experiences. She writes as the child who is making these comparisons and noting lessons that the parents have passed down on her. She asks her parents not to withhold discipline when she strays from all she has been taught. Dingezweni is a Xhosa name/term given to people who lack direction and (or) do not fit in society. This poem speaks about people who drift around suffering because they are searching for a life where they don’t have to work hard. The subject of the poem is painted as a spoilt child who has never had any hard discipline and is a Dingezweni as a result- searching for a world where all he/she will hear is “YES”. The last stanza is a plea to parents not to withhold discipline from their children and for people to strive to be better. Thea Ntombebhongo Siqoko was born on 21 June 1966 in Tarkastad. She grew up in the Eastern Cape and finished her matric there in 1985. 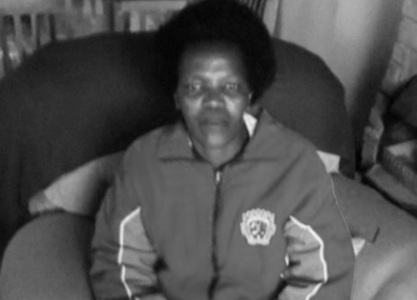 In 1988 she qualified as a teacher at Masibulele Teachers College. It was while studying at Masibulele that an interest in writing started, the very first poem she wrote got published in the college magazine. She continues to write poetry to this day. Thea holds a B.Ed. Honours Degree from University of Pretoria.